adidas have really worked out how to use their Primeknit technology correctly and give it a position in the market that’s far more than what was previously perceived to be a Flyknit bite. The bouncy Boost technology is the perfect accompanied to that form-fitting, lightweight upper and they give it a real sense of identity. Under Consortium, we’ve seen some of the best crossover performance runners to date. 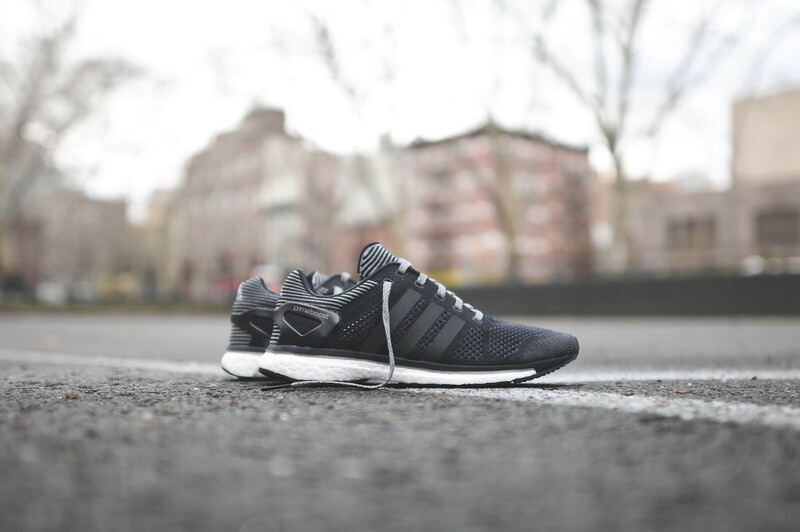 The adiZERO Prime Boost is an outlandishly comfortable shoe — it’s not as pillow-like as the Pure Boost, but it still makes the majority of other shoes feel like they’ve got wooden soles in comparison. It’s good that this is a real runner, with enough crossover potential to purely pose in. You can bust these out during the holidays for lounging and socialising, then actually put them to use when you get a short, sharp shock on the scales during the first week of January, 2015. Black with attached 3M stripes is a good look for night running, but the use of reflective yarn is masterful. When that light hits these right, we’re fully sold, despite the madcap 150+ pound cost. adidas have had a good year (we think some of the earlier pre-2014 Consortium performance designs were unfairly slept-on) and these embody that new confidence — they also know the value of numbering a product, and the 1,267 pairs made of these represent the metres of yarn needed to make a pair. That’s enough to avoid getting lost in a labyrinth situation, and if you can’t unspool your shoes, these things will make you quick enough to outrun a Minotaur. Check out more great trainers on this site.